April 21, 2016 – Party weekend coming! 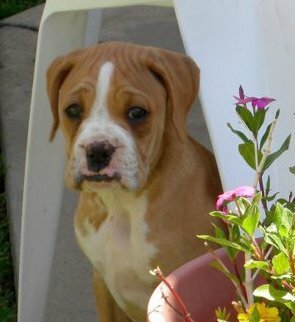 Rocco, our cute little boxer pup. 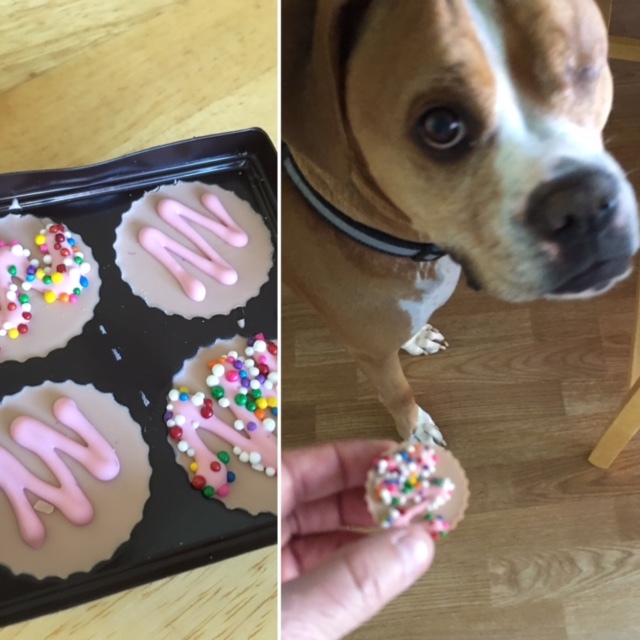 He is turning 6! 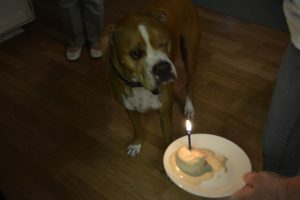 This weekend is Rocco’s birthday party. I have never planned a dog’s birthday party before. It’s not as easy as one might think. I am NOT inviting any dogs. He doesn’t play well with others. Haha. He plays like a boxer and other dogs seem to get kind of freaked out. Rocco is not mean at all, he just wants to knock the dogs to the ground. Then chase them and knock them back down. Anyway, we are not inviting any dogs. But I am thinking I should invite some people for him to play with. People he loves! So of course I will invite the kids and their significant others, my mom, but who else?? Should I invite friends? All these decisions. I know for sure that I am going to have my husband bbq and I am going to have him make a steak for Rocco. I dont want him to get a tummy ache, so it will be a small steak 🙂 I am going to get doggie ice cream and I will make him an ice cream sandwich with the pumpkin oatmeal cookies I recently made for him and the ice cream. Hey, if you havent seen my recipe – dogs LOVE it – I mean devour it – they drool when they see the cookies! Here is the recipe. Oh, I didn’t mention. That recipe is gluten-free! Anyway, back to the party. I was trying to think of games/activities that Rocco might enjoy. Activity 1. Have everyone lay down on the floor and let him run around to each of us giving kisses? Activity 2. Run up and down the hill with him. Activity 3. Go for a walk. Activity 4. Cuddle on the couch – but everyone must allow him to sit on their lap if he wants. How does that sound? Do you think it will be an amazing birthday party for Rocco?